Training Certification as a Career! animal behavior which is invaluable to the modern dog trainer. 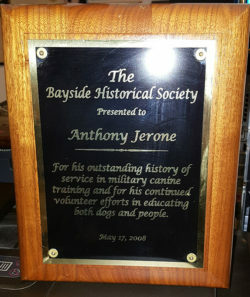 View Anthony Jerone’s amazing dog training credentials ! 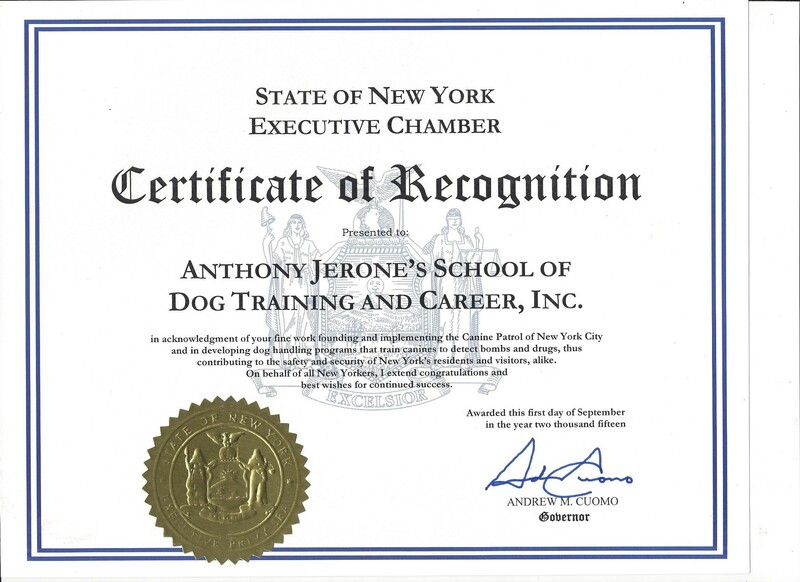 Welcome to the Anthony Jerone’s School of Dog Training & Career in New York. 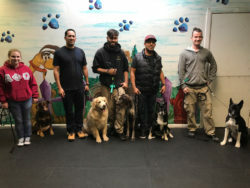 Our dog trainers are all certified graduates of the academy by the one and only Master Dog Trainer Anthony Jerone, the person responsible for the development of the program. 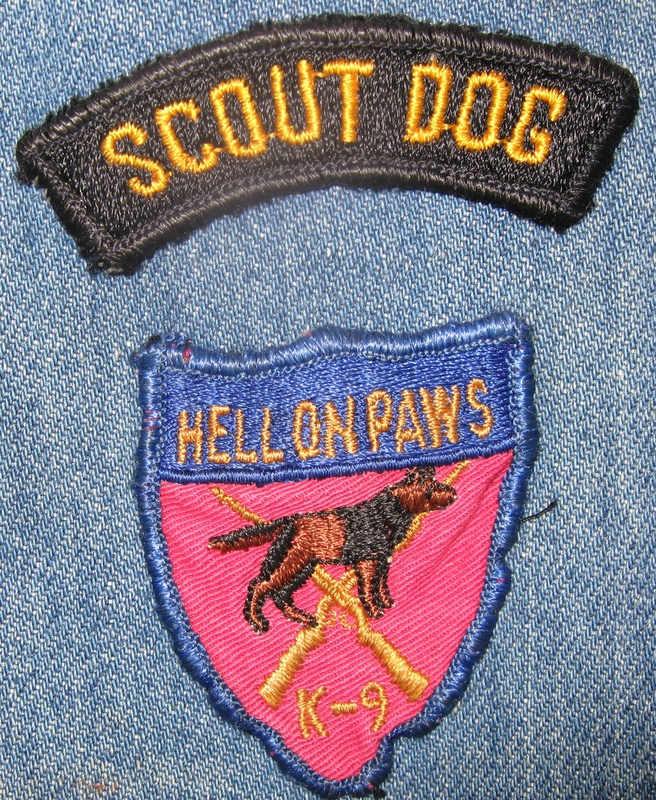 The Academy is dedicated to educating both people and canines. 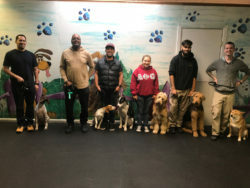 Our dog training programs include everything from housebreaking, etiquette, and behavior modification, through obedience training and protection training services. We accept all types and ages of dogs. So whether your pooch is 8 weeks old or a full grown adult dog, we have the training programs to suit your companion. We are confident that our dog training programs will provide you with an enjoyable experience and a well trained dog. 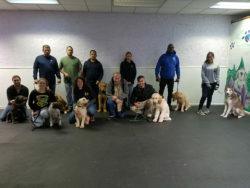 Using the latest and most effective training techniques, the Academy is the only dog training academy that provides not only dog obedience programs to have your canine professionally trained in all aspects of NYC approved training but also provides Trainer Programs for individuals who wish to become certified professional dog trainers. 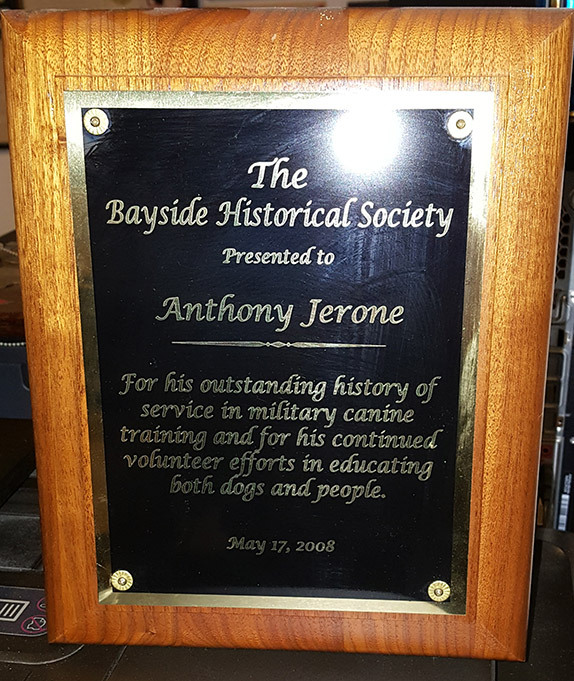 With a background spanning over 40 years in dog training, Anthony Jerone is the only trainer certified by both New York City and New York State. His dog training skills have been recognized and applauded by New York Mayor’s Bloomberg, Giuliani, Koch, and Dinkins. Mr. Jerone, who founded the program, has some of the most interesting and unique credentials around! Formerly a Vietnam K-9 Corps Specialist, Anthony Jerone has also been the rare recipient of the Silver Cross & Bronze Star for developing dog-handling programs for the United States Army. He had 20 German Shepherds in his company in 1969 and in 1980 he founded the New York City Transit Authority Canine Unit. 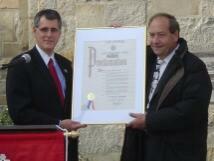 He has been given a whole sheaf of citations commending him for his advice and expertise from a great number of cities and states across the nation. 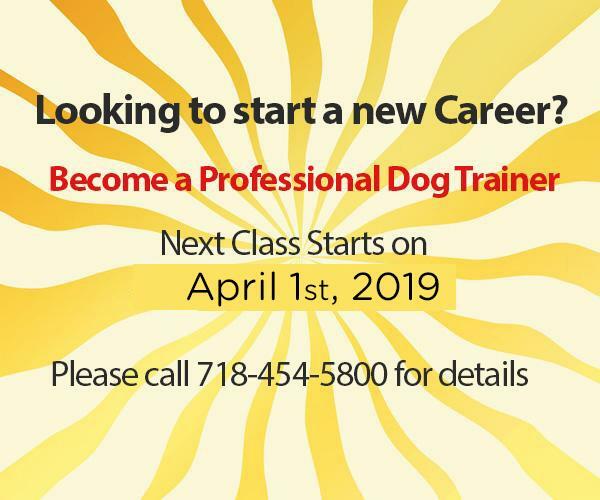 Learn to be a Certified Master Dog Trainer from New York City’s BEST! Our dog training instructor programs will train you to be a proficient and certified dog trainer. 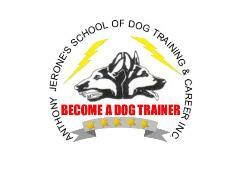 At the Anthony Jerone’s Canine Education Academy we provide a comprehensive and well rounded training services for both dogs and people. 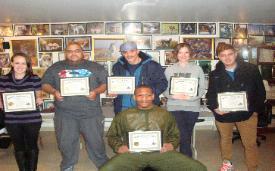 We teach people to become Certified Dog Trainers and dogs to be a loving member of the family. 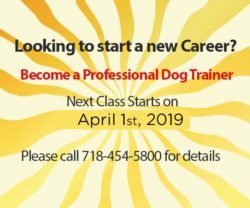 Learn more about how you can become a Dog Trainer and get certified by the best at the Anthony Jerone’s Canine Education Academy.